Our Wine Stain postcard design template is the perfect way to launch a powerful custom direct-mail marketing campaign to promote your restaurant, café, diner, bar and grill, pizzeria, ice cream shop, and more. 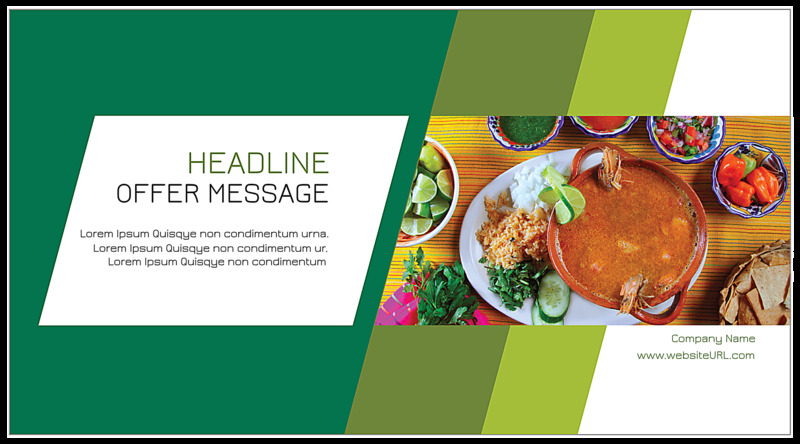 The front and back feature large photos of your venue and/or menu items against triple-hued diagonal backdrops in your choice of four base colors – green, red, blue, and brown. Command attention with the bold headlined offer on the front, and brand your company by adding your unique logo on the back. Custom postcard printing has never been easier when you use our online design tool to personalize our Wine Stain postcard template. It’s the best way to promote a professional image, no graphic designer needed! You don’t to hire a professional designer to print custom postcards when you take advantage of our free online design tool. Simply pick your template and color scheme, then let the design tool walk you through the process of customizing your text and uploading your own images and logo. It’s so easy! In just a few minutes, you can point-and-click your way to a personalized postcard design that wows potential customers. Your postcards will be printed on premium paper stock, as high-quality printing is paramount at PsPrint. Along with vivid soy inks, state-of-the-art printing presses, and superior customer service, it’s the reason why thousands of businesses like yours trust PsPrint to print high-quality postcards every day. Don’t forget about our 100% customer satisfaction guarantee! No matter what specials and incentives you’d like to promote, our custom printing team is here to help you print the perfect postcard for your campaign. 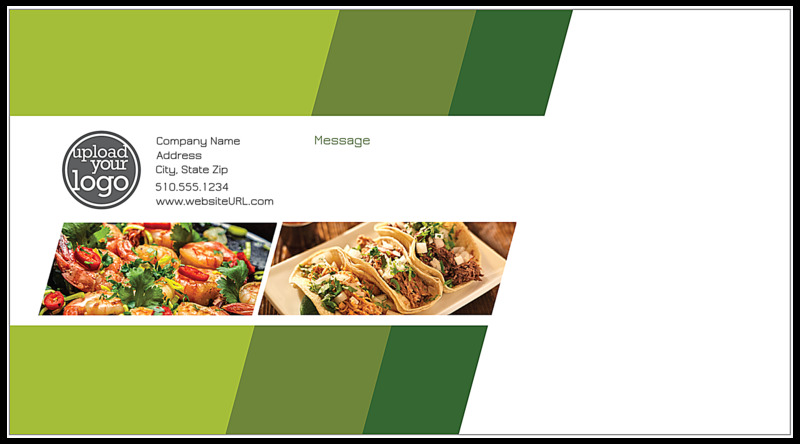 Consider enhancements such as foil stamping and die-cut shapes; we also offer complete mailing list, addressing, and postcard mailing services to make direct-mail marketing easy. We’re your one-stop postcard printing shop!